So what do you think? Who's ready to order? Looks awesome! But not for the budget conscious, like me. BTW, did you ever purchase or decide on a camera? Thanks for replying! I was in a rush today so did not respond to your initial post and the reason for this thread! Sorry John! Kudos to Sony! for being the first! This morning I actually received an email from B&H that arrived overnight introducing it. B&H is already taking pre-orders. I'm looking forward to seeing how it does in real life (looks amazing on paper). It will be interesting to see how many people will bite the bullet and spend the money. It will be a big breakthrough in photography - especially for the pros and enthusiasts. I look forward to your review, John! I hope you get your hands on one soon. You're right about the prices of the other m4/3 cameras! Actually I have a "new" E-PL5 that was used only 1-2 times that I'm going to put up for sale before the price drops. Immediately after I purchased it as my 2nd camera, I saw the XZ-2 (which I was looking to buy) on sale for $329 so I bought it. Can't afford 3 cameras! Thanks for providing all the information, specs, photos etc so quickly John. Amazing! Well right now there isn't a huge selection of E mount full frame lenses and the ones coming out are all high end. Plus I am not ready to put all my time in a compact system. They are still limited in sports shooting, studio and portrait shooting. Show up to shoot a wedding with this and you probably will get laughed at. I know a good photographer could shoot a wedding with it but still. The customers wouldn't understand. Also with a limited lens line up wildlife shooting would also be an issue. Compacts have a long way to go before I give up on a DSLR or SLT. But I think Sony will be the first to completely dump the mirror. I guess I will find out then. Just bought a NEX-6 kit not long ago and am having an absolute ball with it right now and really haven't reached it's creative limitations, if there are any, yet. I've heard that Sony's glass has been there product lines biggest limitation creatively because they only have like 60 lens or so available across several product lines and those that are available haven't been rec'd very well based on quality comparisons. But with many of the available manual lens adapters that are making it easier to build an effective system with "older" quality lens glass, the sky could be the limit! I have two on order I placed this evening for Fotodiox Pro Lens adapters and hopefully they'll be here by Monday! With any luck, they'll will make it easier to explore a bit more with my NEX-6 with some of my Canon FD lens and some Nikon lens I've got stashed away without having to spend a few grand to get a few more lens to play with. 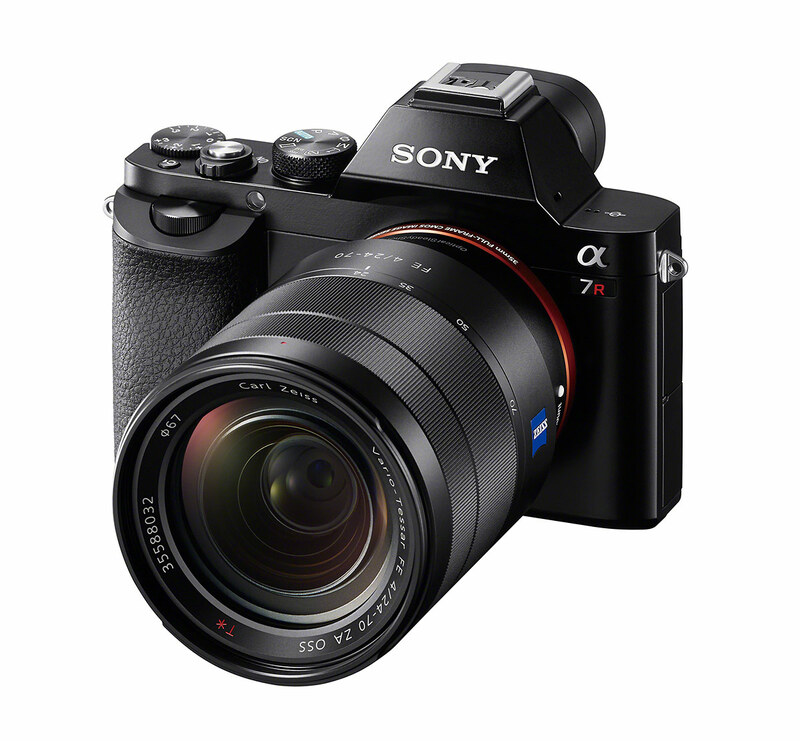 Who wants to have to ramp up with a new lineup of (rumored) mediocre and expensive glass to get into a great camera like the A7's? If the adapters are indeed effective, it should hopefully make it easier to get into an A7 or A7r body only, assuming they will be just as compatible. If that is the case then I'll probably get a A7r in Dec. when I hope all the holiday sales will reduce the upfront cost a bit. This purchase will likely be a last and final for me; a system I can build around for my remaining years, guess we'll see ... lol. Hope I've made some sense. Here are some jpg images. Note that the A-mount (70-200 f/2.8 G) are taken with the SLT adapter (i.e. through the mirror). The detail on this portrait crop is amazing. Fantastic images Terry! Thanks for sharing! The detail is incredible, wow. Can't wait to put my hands on the camera though if it feels anything like my NEX-6 it will be a winner for me. Do you know which these were shot with the a7 or a7R? Thanks. Terry. I saw something similar to this done with the Leica S3. These look just as good, IMO. I really like the price of the cameras, for FF they are quite inexpensive. But I strongly dislike the lens prices. IMO lenses are overpriced by a factor of 2-3.